[toc]Alzheimer’s disease or dementia is an illness in which the person has an inability in remembering things. It begins to kill brain cells and as a result there is atrophy or shrinkage in the size of the brain. When the brain has very few cells remaining, memory is hard to be maintained and so the main feature of this disease includes forgetfulness. These are clumps of accumulated protein cells called as beta amyloid proteins in the brain. These cause the death of brain cells and affect the cell to cell communication in the brain. There is a presence of such protein cells in the brain of the affected person. In a healthy brain, there is presence of a group of cells known as Tau. These cells are the transport and communication system of the brain. 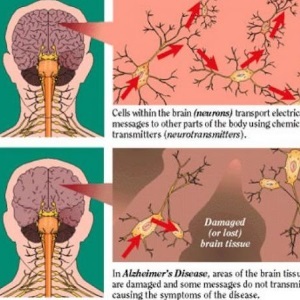 If these cells deplete or get altered in nature, there will be a drastic loss in the functioning of the brain. 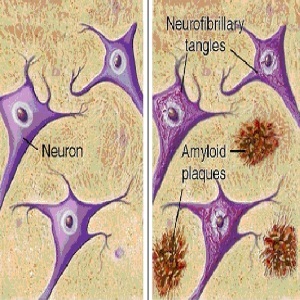 In Alzheimer’s disease, the affected cells tend to twist the Tau cells in a weird manner which affects their functioning. Without the proper functioning of these cells, the healthy brain tissue soon begins to shrink in size as well as quality. There is a presence of the Alzheimer’s gene or ApoE-4 protein in the brain of people who are at risk of getting the disease. But genetics only play a 5% role in determining the presence of the disease. There is a chance that you might get the disease, but it is very small. It can also be said that aging can result in Alzheimer’s disease. 2 out of 10 people over the age of 65 can get Alzheimer’s and 1 out of 4 people over the age of 85 can get it. Aging of the brain and the changes seen in this disease in somewhat similar. A slight alteration in the chemical mediators of the brain in old age is enough to get Alzheimer’s disease. As mentioned earlier, although there is no definite cause for Alzheimer’s, the above can be possible reasons for developing the disease. Early diagnosis is good for prognosis of the disease. 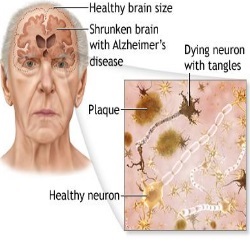 People who suffer from Alzheimer’s can live a healthy life even after the disease progresses. Many times people fail to recognize the disease and just don’t pay attention to it until it becomes severe. If you have a family history of Alzheimer’s disease, then your chance of getting the disease increases by 3 to 4 times. So if you have a sibling, or any of your parents or immediate family members have been diagnosed with Alzheimer’s disease, then it is likely that even you might develop it at a later stage in life.